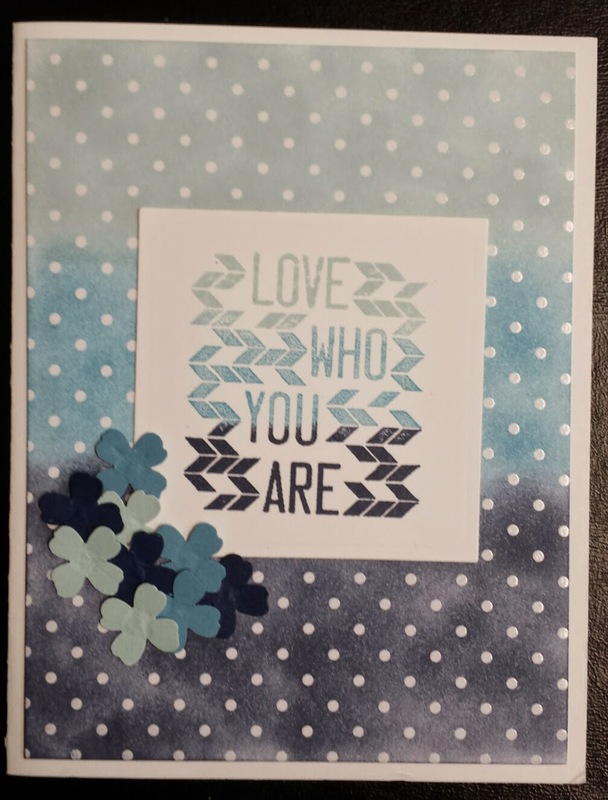 Three tone card using Soft Sky, Marina Mist, and Night of Navy. This is another one of the designs that comes in the Irresistibly Yours Specialty DSP. I sure hope they offer something similar to this in the next annual catalog. I just love it. I used the sponge daubers to create this background and to do the different colors on the stamped image.